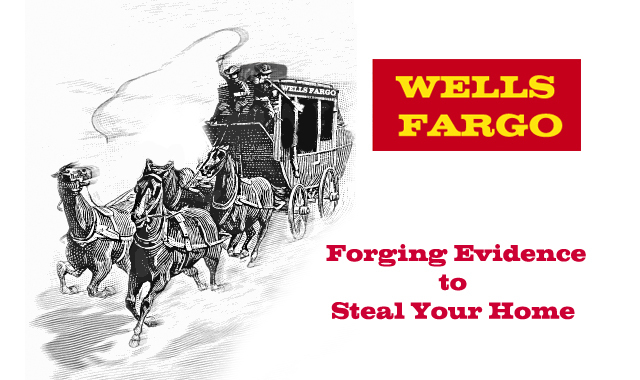 Citicorp, JPMorgan Chase, And Others Plead Guilty – African American Banking Opportunity? I have to say if I was CEO at an African American owned bank or credit union right now I would be salivating at the news where two of America’s largest banks plead guilty to felony charges for manipulating currencies and rigging interest rates. Citibank and J.P. Morgan Chase control a combined $2.3 trillion in deposits worldwide. For perspective, total bank deposits in the United States total $9.3 trillion. This provides an opportunity to give a new narrative to African American communities about the value of banking with someone they know and trust. A bank/credit union owned by and for their community. Although not charged, I would also lump Bank of America and Wells Fargo into my attack, which given their recent settlements for predatory lending towards African American communities would not be a reach at all. NPR reports, “Citicorp, JPMorgan Chase, Barclays, The Royal Bank of Scotland and UBS AG have agreed to plead guilty to felony charges and pay billions in criminal fines, the Department of Justice says. The offenses range from manipulating the value of dollars and euros to rigging interest rates.” The banks charged will be paying a $5.6 billion in fines combined, with Citigroup and J.P. Morgan Chase paying $1.26 billion and $892 million, respectively. Despite the heavy fines, no one will face actual criminal chargers. Bear in mind for perspective that Citigroup and J.P. Morgan Chase had 2014 net income of $7.3 billion and $21.8 billion, respectively. In other words, Citigroup will be paying 17.3 percent of its net income (profits) and J.P. Morgan Chase will pay 4.1 percent of its net income (profits). It is not clear however if they have to pay the fine at once or have been put on a payment plan. By now, we have all heard the number – $1.1 trillion. That is the buying power of African America, but what we rarely hear is that less than 1 percent of that buying power sits in African American banks and credit unions (AABCUs). This continuously leaves African America in dire straits needing access to capital, but putting non-AABCUs like Citigroup, JP Morgan, Wells Fargo, and Bank of America in a position to take our money and then use it as a predatory weapon against our communities. One of a bank’s objectives is move the risk from those that own it onto other groups. The aforementioned banks not owned by us are doing their job and doing it well. We just keep aiding them by giving them a larger deposit base which in turn gets loaned back to us at predatory rates so that the owners can secure loans at discounted rates. Our communities pay more so that their communities can pay less. In other words, we deposit $1.00 in the bank and they deposit $1.00 in the bank. The bank now has $2.00 it can lend out. They will borrow $0.50 at 4 percent and our community borrows $0.25 (but needs $0.50) at 8 percent. But why have AABCUs not take advantage of this telling this narrative? African American banks and credit unions have as a collective not done a good job of expounding their benefits to the communities they are in. Not nearly enough community outreach or customer acquisition investment has been done by African American owned financial institutions. The question if its the chicken or the egg in this case remains in flux. Do you spend limited resources to market to get deposits or do you wait for deposits then market to get more customers? Whichever approach is taken, it must be done with resolute commitment to increasing the AABCUs deposit hold within our communities. It baffles me the number of AABCUs who are not even on social media. Are you kidding me? It is FREE. If AABCUs created internships for HBCU marketing and communication majors each semester they could have a millennial team of four or five students rotating every three to four months. And while many do not like them, I would hire club promoters and street teams to get the word out. Incentivize the community to become your word of mouth advertising in exchange for perks. In an interview I did with Donna Shuler, co-founder of Answer Title in Washington D.C. and former bank CEO, she said, “More community outreach starting when students are still in school. Banks and agents should use more images of African Americans in their marketing.” One thing that continues to plague African American organizations and firms is the copycat complex that ignores cultural differences between the way our community consumes products and services and the way other communities do. We do this despite Nielsen, an American global information and measurement company, having an entire site dedicated to the African American consumer trends and behavior. We also have to stop being afraid to use what in hip-hop is known as “beef” with our counterparts. This is a competition after all. My marketing campaign would go something like this – “You know who has NOT been fined for predatory practices against African Americans – (insert AABCU name).” Or I would have a list of the non-AABCUs who have been fined for their practices against our community and call it a public service announcement. People love a good guy, bad guy scenario. A mentor always said to me once to use what you have. Whatever it is that draws people to you – use it. In AABCUs case, it is using what the others have done to our community to your advantage of getting those deposits to switch institutions. It is also being more engaged in community activities where you can have the captive attention to get financial literacy and marketing message out. African Americans continue to lose ground in wealth accumulation, our communities and neighborhoods continue to be at risk of gentrification because of lack of development and access to capital, and these are all a reflection of a weak banking system. We know what happened to Harlem and what is happening to places like Third Ward in Houston among other places. This latest behavior by the non-AABCUs is just a long list of a wedge that AABCUs should be using to distinguish themselves among their core consumer demographic. They have given more than an inch to exploit and it is time we take the mile. This entry was posted in Banking & Credit Unions and tagged african american banks, african american credit unions, bank of america, citigroup, j.p. morgan chase, wells fargo. Bookmark the permalink. I am looking for something which I can connect Black Credit Union to SA? After the big wigs collapse, that leaves the door open for many smaller players, including AA-owned entities. Have you found any innstances of AABCU starting to implement this? Can you point me to a list of existing AA credit unions, or better yet, alternative currency systems?